Gorillaz Will Drop a new Album Soon! Here it is, another one! had returned last year, after six years with their first new album, ‘Humanz’. There were many who were quite into it (us included), but many fans were divided. Some praised the new direction, but others were left a bit despondent. 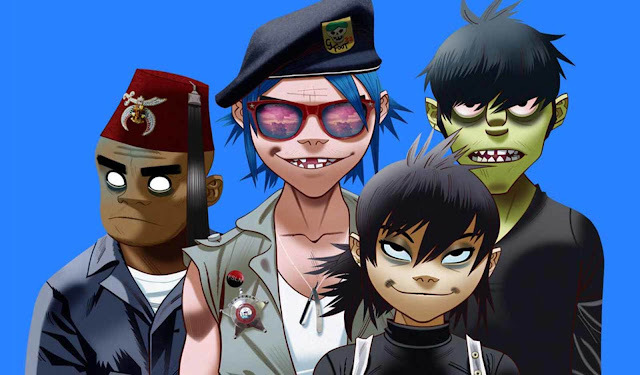 Nonetheless, it’s fantastic news to all Gorillaz fans that they’ve got a new one coming out in June, then, is it not? According to some teasers seen at London’s All Points East Festival this past weekend – it’s called ‘The Now Now’. Many sources suggest that the album will drop June 29. The first two songs from the album – ‘Humility’ and ‘Lake Zurich’ – have already been released on Thursday, May 30th.